A first class allround knife with the profile ground blade that makes it perfect for working with your game. The Swedish cold-rolled stainless steel is of highest quality, treated to maximum capacity according to our secret company recipe. 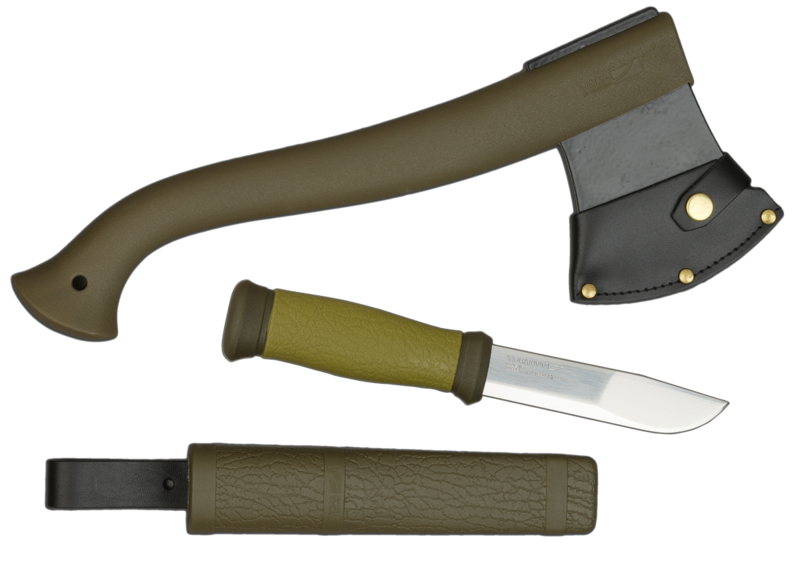 The axe head is made of boron steel with a black ED-coating and has a black leather sheath. Together with the polypropylene handle you're able to work with power and stability.